Processing can take up to three full working business days to finish processing BEFORE packages are handed off to USPS for the shipping times below. *Orders placed over the weekend will begin processing on the next working business day. *Orders placed close to end of business day hours will begin processing the next business day. If an incorrect bottle is sent in an order by mistake, we will issue a return label via email and an RMA form for the exchange. Customers are responsible for printing the return label and RMA form. A return label and RMA form can be mailed to you for a small fee(shipping costs). All International Orders (Including Canada): Due to customs checks, we can not guantee shipping times for international orders.Please expect added delays that are at the discretion of the customs officials in your country. The customer’s name and DOB are run through a third party age verification system. If names and dob’s are not verified through this system you must email in a photo of your ID for manual verification. If an order is put on hold for Age Verification , we will attempt a total of 3 times to reach out to verify your age. If there is no response after 3 attempts, a full refund will be processed. Refunds take 5-10 working business days to process before they show up on the card used. *If an item is returned to our warehouse due to an error on the shipping address on behalf of the customer , we will issue a refund MINUS the cost of shipping. We can charge a second time for shipping(if the mistake was due to an address error) and have it sent back out for you. We can issue a refund for the order minus the shipping costs. You can redeem reward points (each point is worth one cent) on a desktop or on a mobile browser. Once you get to the payment section of checkout you can check the box to spend your points on the order. *We currently do not have an option to redeem reward points on our Android App. 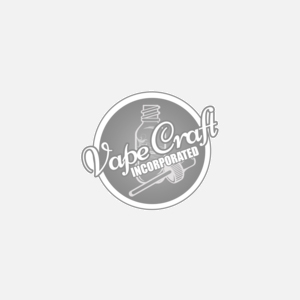 Vape Craft Inc uses USD currency with all transactions. Vape Craft Inc is not responsible for charges incurred by your bank when currency is converted. Please understand what your bank may charge you to convert currency before ordering from us. We will not cover any extra charges incurred to your account due to currency conversion. Please contact your bank prior to purchasing from us to understand what the charges may be to convert from your countries currency to USD.